don't get caught: Your content strategy: What kind of breakfast is it like? Your content strategy: What kind of breakfast is it like? Never write a blog post when you're hungry. This is what happens. The skipped breakfast: You know this is bad for you, but you're avoiding it for fear of adding more weight--not to your waistline but to your schedule. Content strategies sound like work and time-wasting to some, just like breakfast. In fact, a good content strategy includes a content or editorial calendar, standing assignments, some room for variety or immediate responses (that "I feel like a donut today" option, if you will). Far from weighing you down, it will free you up later, when you don't need to do this all over again. The all-you-can-eat breakfast buffet: This is the content strategy for those whose blogs or online content want to be all things to all people. Somewhere in between the smoked salmon and the hush puppies, however, your audience won't know why it's there or who you really are...and you won't be offering anything specific enough to reach and engage them. If you're strapped for time, money and staffing, make sure your eyes aren't bigger than your stomach--the old warning about loading up at buffets--and focus that strategy. You'll be glad you did. The full traditional breakfast: Here is a safe choice, you'd think. Eggs, bacon, toast, home fries, fruit, juice, coffee. But consider it in light of your content strategy: A traditional full breakfast is full of content redundancies (two proteins, two starches, two beverages). It requires your audience to sit down and stay a while, to ask for additional condiments (hot sauce? ketchup?) and fills them more than perhaps they need. While a smaller, more focused version of the buffet approach, it's still trying to over-cover the bases. And, like a full breakfast, many users order it without certain components or just leave them on the plate, in an attempt to customize it. If that's happening to content you're serving, time to think again. 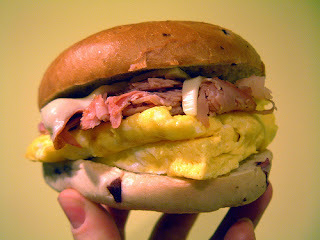 The breakfast sandwich: These days, I like this option best of all. It starts with the premise of mobile option, rather than leaving that option as an afterthought. It's designed to be nimble, both for the server and the person consuming the content--no one wants to stand in a long line waiting for it. It's fresh, hot and portable, something that can be eaten in small bites while adding up to a substantial meal. The user doesn't need a menu, and you can plan because you know what your regulars want. And they can consume that content-breakfast you're flinging in all sorts of locations: while walking, in the office, on a train, in the car. That makes you more, not less, of a constant companion. And by the way: The cook who creates these small bites can tailor them better to the consumer of the sandwich. Works for everyone. You can run through this menu for every type of online content, from blogs to Facebook pages and more. What kind of breakfast does your content strategy look like? 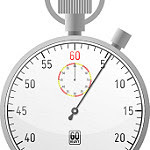 Related posts: Managing time on social media "if I only have 5 hours a week"